"Kava and valerian are herbal remedies that are claimed to have anxiolytic and sedative properties respectively, without dependence potential or any appreciable side effects." "Compared with placebo, kava extract appears to be an effective symptomatic treatment option for anxiety." "When taken for anxiety or stress, kava does not interfere with mental sharpness." "Kava may be used instead of prescription antianxiety drugs, such as benzodiazepines and tricyclic antidepressants." "Nature's most effective stress-relieving plant, now considered comparable or superior to anti-stress prescription drugs. Kava is consumed throughout the Pacific as a relaxing beverage for social interaction and as a support to religious inspiration. Because of its many beneficial qualities it is superior to alcohol, nicotine, tranquilizers, and other substances that serve to reduce stress and improve mood." I just realized the cause of my confusion for years stems from Kava being a brand of coffee. Dammit that's the reason I didn't know about kava! Wow this sounds like exactly I've been looking for to treat my social anxiety, even more effectively than lemon balm extract and with far less risks than alcohol. 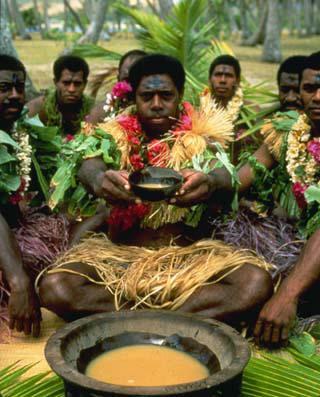 I'm imagining how awesome it would be if everyone partook more in kava than booze. The biggest drawback I can see from that would be the huge impact it would have on most of our event venues, bars, pubs, restaurants, Portland's music scene, etc. Like it or not, alcohol sales are the life blood of that economy. Ah who'm I kiddin'? Hipsters never gonna put down the PBR. But hey you can even smoke kava. I'm gonna vaporize it! I'll mix with cannabis and call it Kavabis! The "dreamless sleep" claim on Wikipedia had me worried, but it is contradicted by WebMD: "When taken for sleep problems, kava promotes deep sleep without affecting restful REM sleep." And confirmed with some pretty damn funny anecdotal evidence. Here's the introductory excerpt: "To start with, I'm a white male, I have no sister, (only one brother), and I have never worked in a hospital. Last night I dreamed that I was a black woman." The FDA warning about potential liver effects is justified (in the same way that minor risks from relatively inocuous chemicals such as Tylenol require full disclosure), but without any context it seems like excessive fearmongering. Yet another example of influence from Big Booze and Big Pharma? Just look at what they did to Cannabis for decades. Fortunately the tide of public opinion is finally changing government policy. Be sure to purchase high quality powder from the root, no leaves or stems. Beware of low prices for inferior product. Kava should never be taken with prescription antianxiety drugs, and also avoid alcohol. Don't take if you have a liver condition. However, if that condition is from excess alcohol but you're still drinking, try to at least transition from booze to kava. For full details on side effects and interactions see the WebMD link below. Stress-induced insomnia treated with kava and valerian: singly and in combination. Hum Psychopharmacol. 2001 Jun;16(4):353-356. 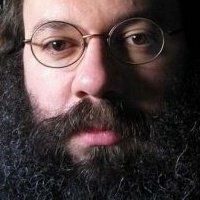 Wheatley D.
Cochrane Database Syst Rev. 2003;(1):CD003383. Pittler MH, Ernst E.
Borogu: "The people of Vanuatu prefer this kava drink over any other." Nambawan: strongest outside of Vanuatu for experienced connoisseurs, strong, complex flavor and full bodied consistency, available only while supplies last!